Our "In Loving Memory" gift basket is trimmed with elegant silk roses and ivy. It offers not only a stunning presentation but a large selection of comfort food and an endearing book. 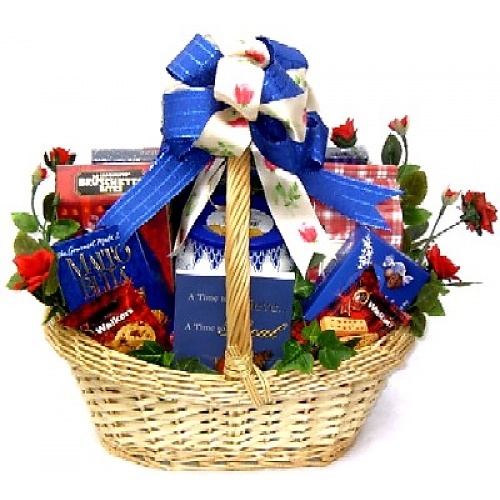 This is one of our most popular sympathy gift baskets. Our "In Loving Memory" gift basket is trimmed with elegant silk roses and ivy. It offers not only a stunning presentation but a large selection of comfort food and an endearing book that we have received years of positive responses on from the people who it has helped.